A gorgeous arrangement which is often sent to welcome a baby boy, but can also suit many other occasions. 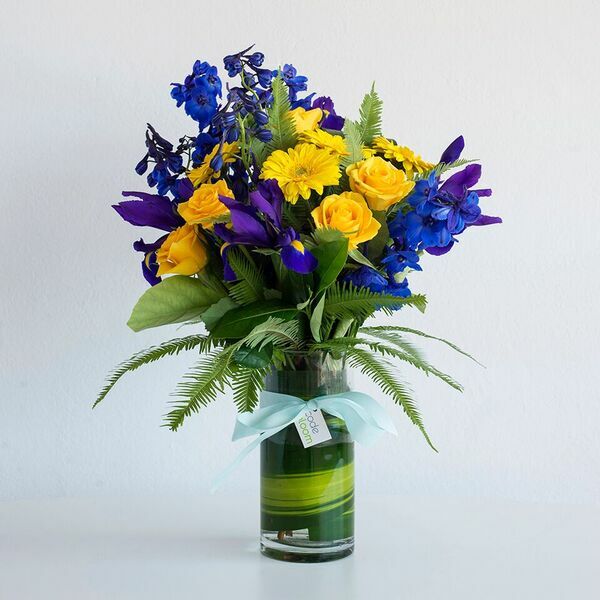 The glass vase is a great keepsake for ongoing usage and makes it easy for transportation. Why not add one of our soothing baby products or a baby toy to be gift wrapped and delivered to complete your gift?